18” round Tuscan inspired tray. Adds a touch of elegance to your event. These high quality trays look like ceramic. 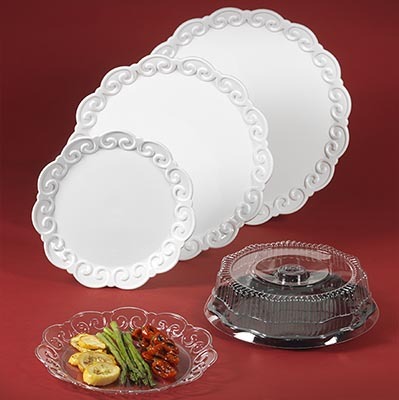 If needed, we also offer snap-on domes to fit each size Tuscan tray.